Key Difference: Chromecast and Amazon Fire TV Stick are two of the most popular video streaming devices available on the market. Chromecast is designed and launched by Google and hence has impeccable support for Google apps such as Youtube, Google Play Movies. As an Amazon product, Amazon Fire pushes Amazon content first and foremost. In today’s technological age, everything is advanced. So much so, that even basic cable and dish doesn’t just cut it. People need more. This is where video streaming services, such as Netflix, Hulu, Amazon Video, Google Play, etc. come in, they help one get access to video content on a subscription basis. However, watching shows and movies on a phone or a computer is not always the most pleasant experience, hence video streaming devices made their entry into the market. These devices allow one to stream videos from services such as Netflix, Youtube, etc. directly to TVs and other devices, such as projectors. These devices proved very popular as they had the power to turn a normal television set into a Smart TV, but for a fraction of the prize. While there are many different video streaming devices available on the market, Chromecast and Amazon Fire TV are two of the most popular. Chromecast is designed and launched by Google and hence has impeccable support for Google apps such as Youtube, Google Play Movies. However, it is also compatible with other services such as Netflix, Hulu, CrunchRoll, and so many more. However, it is currently not compatible with Amazon Video, as it has its own range of streaming devices titled Amazon Fire. As an Amazon product, Amazon Fire pushes Amazon content first and foremost. Hence, it works best with Amazon Video, however that does not mean that it works with it exclusively. It does support other streaming services such as Netflix, Hulu, etc. The actual list differs as per region. However, one primary downside to Amazon Fire TV Stick, especially as compared to Chromecast is that it does not directly allow for mirroring. 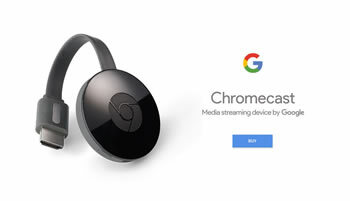 While Chromecast allows one to mirror their phone’s or computer’s display via Chrome, thus allowing one to play and view local content such as personal photos and videos on the big screen. The primary benefit of Chromecast is that it allows one to stream via the use of one’s phone or computer, whereas Amazon Fire allows one to download apps directly onto the device. Hence, it can be said that Chromecast uses the phone to connect to the services and stream the videos, whereas Amazon Fire TV connects to the service and streams the videos directly. The results in the Amazon Fire being just slightly faster in connecting to the services, as it does not have to route through another device. It also results in less buffering. However, the difference is minor and only noticeable on slower internet connections. Some other stray observations, Amazon Fire TV Stick tend to support more games, especially as compared to Chromecast. Amazon Fire TV Stick has the option of using a voice controlled Bluetooth remote that allows one to search for titles, as well as play or pause the video. A mobile app is also available that does the same thing. Chromecast, on the other hand, relies primarily on a phone, tablet or PC for use and control. In terms or performance, both Chromecast and Amazon Fire TV Stick support 1080p resolution. However, loading and streaming 1080p over an internet connection is no small feat, hence it frequently leads to buffering. The benefit of Amazon Fire TV Stick here is its inbuilt memory, using which it can pre-fetch video files to further wait times. It also supports also has support for H.265 (HEVC) files, due to its quad-core chip which results in the Prime Video titles loading faster and consuming less bandwidth. However, it should be noted that phone apps always tend to get updated first and tend to be more optimized. As Chromecast tends to connect and rely on phone apps, it will get the updates faster and they will generally be better, until they eventually get around to modifying them for Amazon use. However, these apps need to be loaded onto the phone, tablet, or computer in order to use with Chromecast, whereas Amazon Fire TV Stick downloads them directly on the device itself. Additionally, one of the best points for Chromecast is that it is created and supported by Google which has a much wider support base. Google claims that it supports around 20,000 apps, whereas by comparison, Amazon has said that it supports 3,000 apps, games, and services for the Fire TV Stick. This of course varies from region to region. However, as they are direct competitors they do not support each other’s services, i.e. Amazon Video is missing on Chromecast, whereas Amazon Fire TV Stick does not support Play Music and Movies. Still, there is a workout to this in Chromecast’s case. One can simply use a browser on the phone, tablet or PC to access Amazon Video and mirror it to the TV using Chromecast. Streams directly from supported apps. Can also stream local video, music, photos, etc. via mirroring. Streams directly from supported apps. Not much support for streaming local video, music, photos, etc. Third party app may be available.